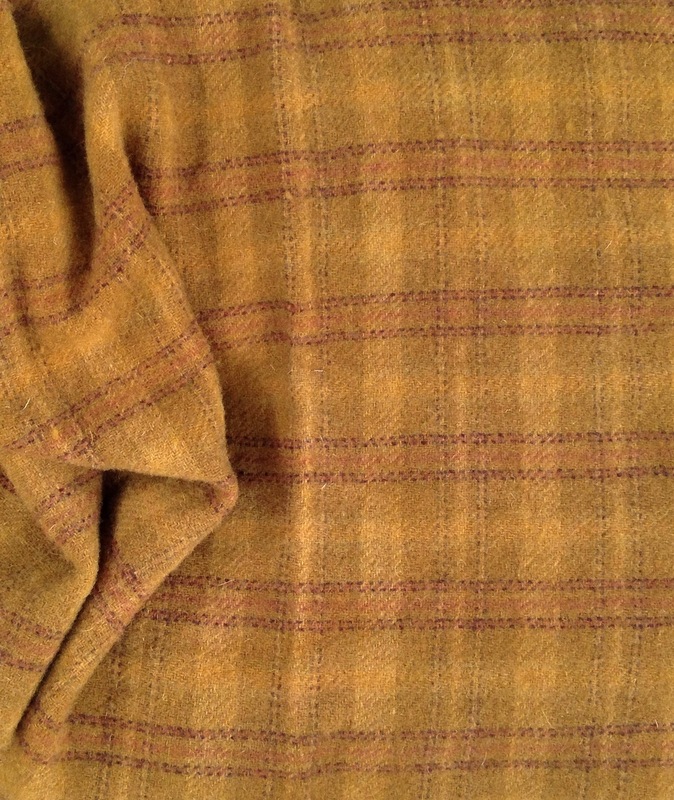 I would describe this burnished antique gold wool as more of a mustard color with soft lines of red/orange and brown running through the plaid. It is overdyed with an exclusive Spruce Ridge Studios dye recipe. Perfect for flowers, chicks, ducks, geometrics, old mustard houses, and sun faces. Computer monitors may make wool colors appear lighter, brighter, or darker. We strive to photograph and describe accurately. This wool is washed and ready to use. Size: one fat-quarter yard of hand dyed wool.